A new shock-resistant accelerometer breakout, a Raspberry Pi kit to turn your Zero into a USB dongle, and a peristaltic pump kit! It's winter! Hello, everyone, and welcome to your first Friday Product Post of this winter! We are gearing up for the holiday break by offering a few last-minute gift ideas for the electronics enthusiast in your life. 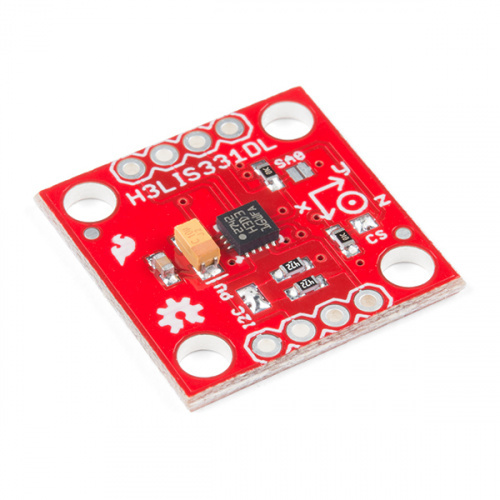 We have three new products this week, starting with a new H3LIS331DL Accelerometer Breakout and the Pi Zero USB Stem, and rounding the day out with a high-grade peristaltic pump kit from Atlas Scientific. As a reminder, SparkFun will be closed on 12/25/2017 and 12/26/2017 in observance of the Christmas holiday. Due to the holiday there will NOT be a new blog post on Monday December 25th, but we will begin posting again on Tuesday December 26th. Please keep in mind that any orders placed after 2 p.m. Mountain Time on 12/22/2017 will not be processed until we resume normal business hours on 12/27/2017. Now, let's take a closer look at all of our new products! SHOCK THROUGH THE HEART, AND YOU'RE TO BLAME! We'd love to know where this is "stemming" from. 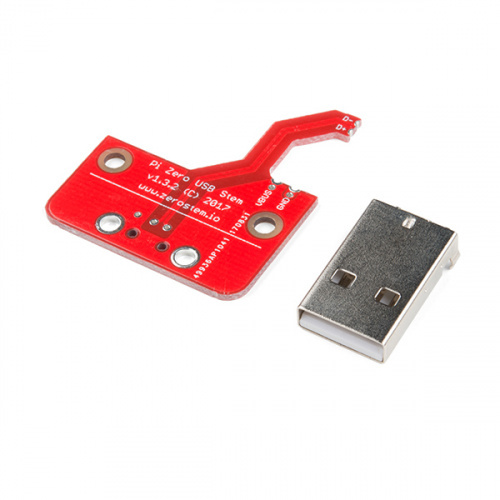 The Zero Stem is designed to be soldered directly to the USB SMD test pads on the bottom of the Raspberry Pi Zero, needing no wires or pogo pins at all --- just solder and a soldering iron! The EZO-PMP Kit from Atlas Scientific is a small peristaltic dosing pump and serial controller with all the parts needed to set up a nice home lab environment. The EZO-PMP inside each kit is a small, intelligently designed peristaltic pump that can be used to dispense liquids with a +/-1% accuracy (with calibration). With four modes of operation --- continuous and volumetric dispensing, constant flow rate and dose over time --- this embedded dosing pump kit is perfect for repeatable and reliable measurements. That's all, folks. We hope you have a great long weekend off of work, school or whatever! As always, we can't wait to see what you make with these parts! Shoot us a tweet @sparkfun, or let us know on Instagram or Facebook. We’d love to see what projects you’ve made! Thanks for stopping by. We'll see you next week for the final New Product Post of 2017!